Everyday this week…Brett Rounsaville brings us the Weirdest Phobias ever…um…phobed? Let’s start things out right this week. What’s the most sane thing in life to fear? That’s right! Nature. Floods, volcanoes, tornados, lightening, pumas…it’s a never-ending list of unpredictable danger. And what’s the one thing more terrifying than unpredictable danger? That’s right!!! Staring into Certain Death’s empty eye sockets is WAY scarier than huddling up in the house during a storm, not quite sure whether it will turn into a hurricane or pass you by. So, following this logic, the single most terrifying thing on the planet must be both natural and predictable. Which is why they have a word for it. 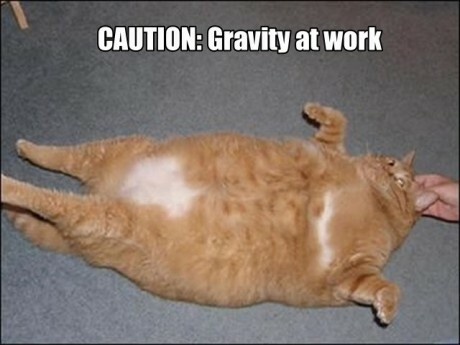 Also known as an irrational fear of…bum bum buuuummm, gravity. Caused by a traumatic event the afflicted somehow linked to gravity (i.e. falling from a height or being trapped on an unmanned space station with a human hating AI for a prolonged period of time), it results in anxieties as mild as nausea and as crippling as an overwhelming fear of disaster when confronted with thoughts of, well, gravity. Weird, right? What are your favorite irrational fears? Have any of your own? You are currently browsing the archives for the Weirdest Phobia category.